called "Twenty Houses" released under her name at the time Jennifer Onesto available in the above locations as well. "Empty Need" was picked for the "Women in Music" compilation CD! "Not That Way" recently received some airplay on WVLP 98.3FM Valparaiso. You can click here to listen. Family Reunion was played on Jonathan Brandmeier’s morning show on 97.9FM Chicago The Loop WLUP. 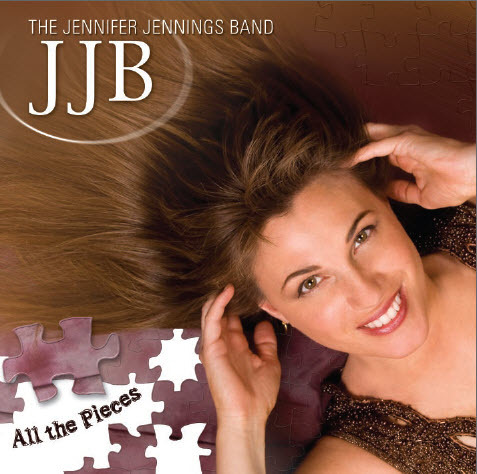 This song "History's Daughter" by The Jennifer Jennings Band was inspired by the book "History's Daughter" by Maire MacSwiney Brugha, who was the daughter of Terence MacSwiney, the Irish revolutionary, who in 1920, died in a British prison after a 73 day hunger strike. His sacrifice caught the attention of the world, and in 1921, Ireland (at least the South) attained its independence.